Much as Papa John’s corporate wishes founder and former chairman John Schnatter would just go gently into that good night, he adamantly will not. Yes, this already-batshit story is now even crazier: So last week, the embattled face of the pizza franchise resigned after reports emerged that he used a racial slur in a P.R.-training phone call. 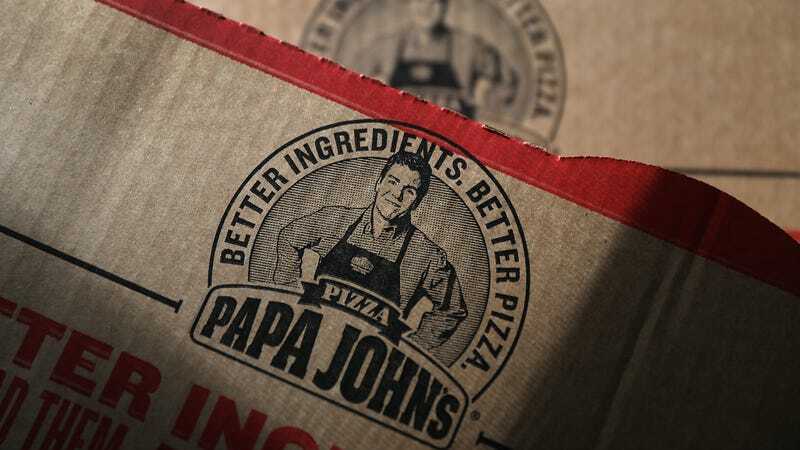 Today, The Wall Street Journal reports Schnatter sent a post-resignation letter to the Papa John’s board calling his resignation “a mistake,” claiming the board failed to properly investigate the racial-slur incident. “The board asked me to step down as chairman without apparently doing any investigation. I agreed, though today I believe it was a mistake to do so,” Mr. Schnatter wrote in the letter obtained by the WSJ. Separately, in what was supposed to be a TV interview offering him a chance to apologize, Schnatter told Louisville TV station WLKY last week that he thought the call with the agency was confidential and he was “provoked” to use the slur. He says he feels “betrayed” by the lack of confidentiality, and claims he was “extorted” by the agency. He alleges the agency demanded $6 million not to leak the story to the press. “The words were, ‘If I don’t get my effing money, I’m going to bury the founder,’” Schnatter claims he was told by an executive at the P.R. agency. We’re bracing for the next chapter in this ongoing saga. Why do we give an apple to the teacher? Ask Kate About Beer: What exactly is cream ale?